Charged with spousal abuse in Sacramento? Domestic violence (DV) is a specific criminal charge of assault and battery on your fiancé, cohabitant dating partner, spouse, or parent of your child. In Sacramento County, there is a specific unit in the District Attorney’s Office dedicated to prosecuting domestic violence. Most of these cases will be placed in Department 60 located in the Sacramento County Jail. 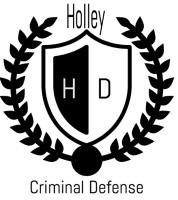 The Holley Criminal Defense Law Offices is here to fight on your behalf. Please read the general disclaimer at the end of this article. Penal Code 243(e)(1) pc Domestic Battery - Penal Code 243(e)(1) is a misdemeanor crime. To be convicted of this crime the prosecution must prove, beyond a reasonable doubt, two elements: 1) You committed a battery upon a victim. 2) At the time of the battery, the victim is your fiancé or spouse, or an individual who you have currently had or have previously had a dating relationship with. Please note that this crime does not require a visible injury such as scratch marks or bruising. The penalty for this crime ranges from 0 days in jail to 364 days in jail. Please note that an experienced Sacramento domestic violence lawyer may be able to negotiate anger management classes instead of actual jail time. Penal Code 273.5 pc Corporal Injury to a Spouse or Cohabitant - Penal Code 273.5 is a felony crime. To prove this felony, the prosecution must prove three general elements: 1) You willfully inflicted corporal injury on a victim. 2) The victim was either your spouse or former spouse, person you are or have been cohabitating with, your fiancé or fiancée or someone you had an engagement or dating relationship with, the mother or father of your child. 3) The corporal injury resulted in a traumatic condition. Generally, a person is charged with this crime if there are allegations that the defendant used physical force in a violent way causing visible injury. What might come as a surprise to many is that even a slight discoloration or swelling can be sufficient to qualify as the “traumatic condition.” If convicted of Penal Code 273.5 in Sacramento and surrounding counties, the sentence is 2 years or 3 years or 4 years in state prison. This is also known as a sentencing triad: low is two years, medium is three years, and high is four years. For more in-depth information on felony sentencing in Sacramento please visit our homepage. The amount of time you are facing often depends on the severity of the injury, priors, and other surrounding circumstances. Our domestic violence lawyer in Sacramento and Sacramento spusal abuse attorney may help you avoid some or all of the harsh penalties imposed in domestic violence convictions. Penal Code 273a pc Child Endangerment - Penal Code 273a makes it a misdemeanor or felony crime to: 1) Act under circumstances or conditions likely to produce great bodily injury or death to a person. 2) Willfully inflict unjustifiable pain or injury, or mental suffering on a child. This code section covers a variety of actions such as operating a dangerous business at home, putting the child in danger, or causing any physical or mental unjustifiable pain or anguish. Since this crime is a misdemeanor you can face up to 364 days in county jail. However, this crime as also considered a wobbler. A wobbler means that the misdemeanor can also be charged a felony depending on the surrounding circumstances. Penal Code 273d pc Child Abuse - makes it a misdemeanor or felony crime to: 1) Willfully inflict inhuman or cruel corporal punishment or injury upon the body of a child. 2) The punishment or injury described above resulted in a traumatic condition. Again, even slight injury such as discoloration qualify under this code section. The laws in California permit reasonable punishment of children such as spanking, however you may be prosecuted if your physical act is considered cruel or inhumane. As a misdemeanor, you face up to 364 days in county jail. As a felony, you can face a low of 2 years, medium of 4 years and high of 6 years in state prison. Penal Code 270 PC Child Neglect/Failure to Provide Care - Penal Code 270 can be charged as a misdemeanor or felony. The prosecutor is required to prove: 1) You are the parent of the minor child (under 18 years old). 2) You willfully and without excuse omitted furnish the child with necessary clothing, food, shelter, or medical attendance or remedial care. Please note that a child that has not yet been born but has been conceived is considered an existing person under this penal code. This code section is often used if there are allegations that you failed to provide basic necessities for your child without a lawful excuse. One example is failure to provide food. As a misdemeanor, you can face up to 364 days in county jail and as a felony you can face one year in prison. Penal Code 422 pc Criminal Threats - Penal Code 422 makes it a misdemeanor or felony crime to: 1) Willfully threaten to commit a crime resulting in death or great bodily injury. 2) Make the threat with the specific intent that the statement be taken as a threat. 3) Prosecution need not prove that you actually had the intent of actually carrying out the threat. 4) The threatening statement, under the circumstances, was so apparent, unequivocal, and immediate as to convey to the victim an immediate threat and 5) The threatening statement caused the Victim to reasonably fear for his or her safety. As a misdemeanor, you face up to 364 days in jail and has a felony you face a low 1 year 4 months, medium two years, and high 3 years in prison. It is important to note that as a felony, this crime is considered a strike. Please see our homepage for more information on the California Three Strikes Law. Penal Code 368 pc Elder Abuse - Penal Code 368 makes it a misdemeanor or felony crime to inflict physical abuse, endangerment, emotional abuse, neglect, or financial fraud on a victim 65 years of age or older. Examples are physical altercations with elderly persons or neglect by a caregiver. As a felony you can face a low 2 years, medium 3 years or high 4 years in state prison. WHAT ARE THE DEFENSES TO DOMESTIC VIOLENCE IN SACRAMENTO? Self Defense is a common defense to domestic violence. If you used reasonable force to protect yourself from immediate harm this is a complete defense. Sometimes people trip and fall or other factors contribute to an injury beyond the control of the accused. 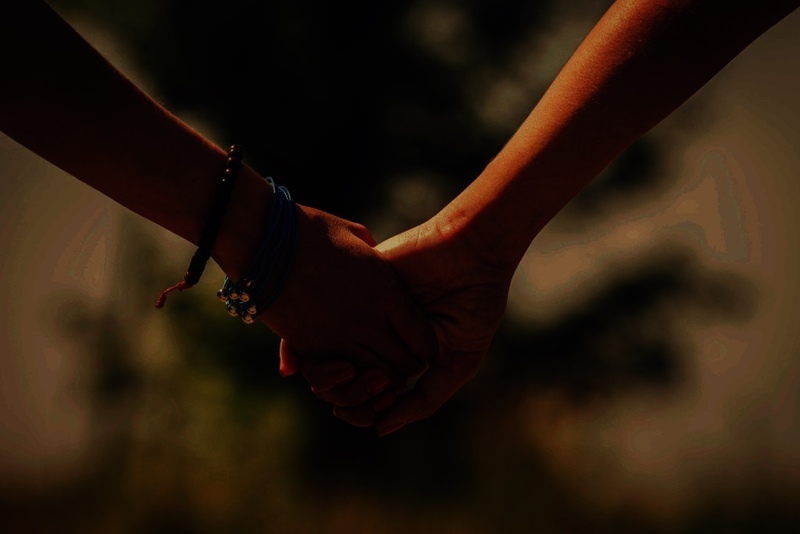 If the harmful touching was a result of an accident, this can be a complete defense. Unfortunately, is it very common that a person make a false allegation against someone out of spite. We often see this in child custody cases where one parent is trying to gain an advantage in family court by seeking criminal charges against the other parent. The Holley Criminal Defense Law Offices look for inconsistencies in the police report, witness testimony, 911 calls and other related evidence. Our law offices have often seen the police arrest the wrong suspect. The prosecution must prove a domestic violence case beyond a reasonable doubt. Often times in domestic violence cases there is not witness other than the two individuals involved in the altercation. Furthermore, the story of what happened often changes. Our legal strategy is often to poke holes in the prosecutions case and highlight the lack of evidence needed to prove a criminal case beyond a reasonable doubt. Can Domestic Violence in Sacramento Effect My Immigration? In Sacramento and California in general, domestic violence convictions may cause serious complications for non-United States citizens. Most domestic violence crimes are crimes of moral turpitude and the conviction may cause deportation. If you are in the process of obtaining your citizenship or have not yet applied, it is imperative that you hire an experienced criminal defense attorney to fight your case and avoid a conviction of a crime of moral turpitude. Additionally, it is important to contact an experience immigration attorney if you are charged with a crime and not a citizen of the United States. Given the status of our country, it is more important than ever to seek the expertise of an immigration attorney. The Holley Defense Law Offices recommend Attorney Thi Do, (916) 922-2255. What if the “victim” recants? Prosecutors in Sacramento County and surrounding areas tend to proceed with prosecuting the case even if the accuser recants or chooses not to press charges. Our legislature has passed specific laws unique to domestic violence cases which allows hearsay is of victims who recant their accusations are still admissible during trial. Am I going to jail if I am convicted of Spousal Abuse in Sacramento? The potential penalties for the common domestic violence charges are described in detail above. However, as a general note, courts and prosecutors often consider numerous factors in determining a sentence. The duration or the sentence often depends on 1. The defendants criminal record 2. The seriousness of the injuries sustained. In Sacramento, it is common that defendants receive some jail time for a misdemeanor conviction. Additionally, whether it is a plea or guilty verdict, most judges require a batterers treatment program. This is generally a 52-week class. An experienced criminal defense attorney may be able to negotiate with the prosecution to allow you to take a course instead of jail time or even conviction. Will I get a Stay Away or Restraining Order if I am accused of Domestic Violence? The prosecutor will generally ask the court for a criminal stay away order or possibly restraining order at the initial court date, also known as the arraignment. This means that are not allowed to contact the victim or come within a certain distance of the victim. An experienced criminal defense attorney may be able to argue at this court date that such an order not be issued. Here is the situation. You have no criminal history. You have never been to court. You are scared. You wonder if you can talk your significant other into not testifying. Stop right there! Dissuading a witness is a serious crime in California! Do not do it! You can face even more jail time and make the underlying domestic violence case that much more difficult to defend. Additionally, do not talk about your case on the phone from the jail. Prosecutors often listen to the jail calls for incriminating evidence. Always remember, you generally have a constitutional right against self-incrimination. You are not required to volunteer incriminating evidence or statements to the police. In most cases, you should exercise your 5th Amendment Right Against Self Incrimination, and request to speak with an attorney. Once you invoke these rights, the officers are generally required to stop asking you questions intended to illicit incriminating responses. If you have been injured by your significant other who is now pressing charges against you, it may be beneficial for you to take photographs of the injuries inflicted upon you. Do I need a Domestic Violence/ Spousal Abuse Attorney? Whether you are charged with a misdemeanor or felony, most domestic violence charges are serious crimes of moral turpitude. The penalties are often harsh and include not just jail or prison time but also anger management and batterers treatment classes and restitution. An experienced defense attorney in Sacramento and surrounding counties is familiar with the domestic violence court, district attorneys and judge. A Domestic Violence lawyer knows what facts are important, how to investigate, and interview witnesses if possible. Additionally, many domestic violence cases are difficult for the prosecution to win at trial. It is important to have a Sacramento domestic violence attorney that has an experienced and proven trial record that knows specifically how to defend domestic violence cases. The Holley Criminal Defense Law office has helped many clients avoid conviction of domestic violence. While every case is different, and we cannot guarantee any result, we are dedicated to bringing you the best defense possible. Call now for a free consultation (916) 956-2876. Any and all advise and law used in this article are intended for educational purposes only. Not all cases are created equal. Therefore, some or all the information in this article may not apply to your situation. This article does not create an attorney – client relationship. Nor is it recommended that you make any decision based on the above information alone. It is imperative to contact a criminal defense attorney and receive personal and individualized attention. Contact the Holley Defense Law Offices now for a free consultation.